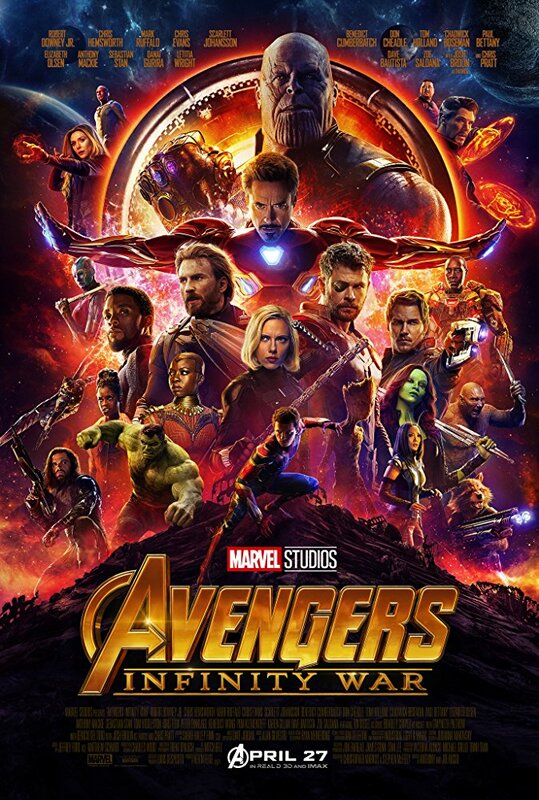 The Story: The Avengers and their allies must be willing to sacrifice all in an attempt to defeat the powerful Thanos before his blitz of devastation and ruin puts an end to the universe. From day one, the MCU stories have been about cooperation and teamwork over selfish decision making and isolation. The first Avengers movie put a strong emphasis on this theme by making it the central core of the plot as we saw the individuals fail then learn how to come together as a team to win the day. 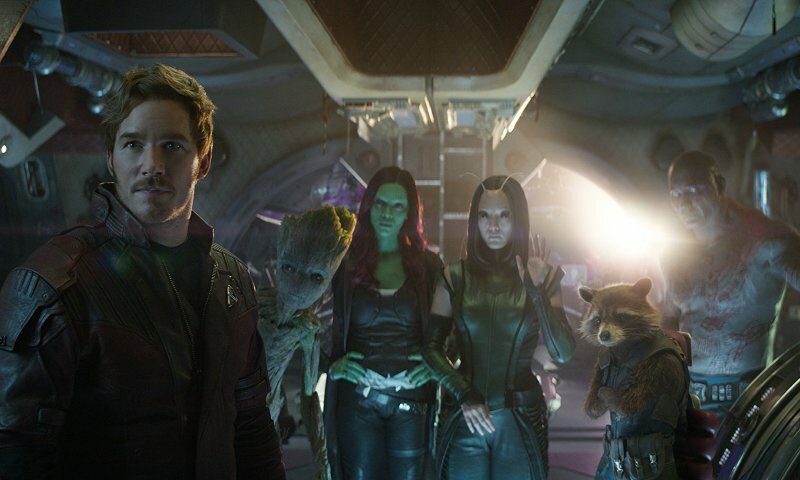 Directors Joe and Anthony Russo have escalated this theme to epic proportions as the Avengers, along with the Guardians of the Galaxy and other assorted super hero type people attempt to stop Thanos from collecting the Infinity stones and completing his misguided task of saving the universe by destroying half of all life in it. The first time I watched the movie, I was in absolute shock, just like most everyone else, by how the story played out. The Marvel creative team behind this movie went all in and raised the stakes to heights never seen before. The danger became real, the villain became real, and the desperation became real and everything just kept escalating as Thanos unrelentingly continued his mission. The second time I watched the movie, I had more of an opportunity to digest the story and it still hit me just as hard. 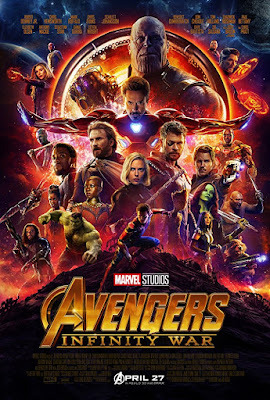 The action scenes and fight sequences are unlike anything Marvel, or anyone else has ever put on screen and, even with the visual shock value diminished during a second viewing, it was all still worthy of keeping my jaw proverbially planted on the floor of the theater from start to finish. The third and fourth times I watched the movie still had the same impact and I still couldn't believe Marvel would do what they had done. This was game changing in ways I hadn't thought possible. Of course, to avoid spoilers, I can't go into a lot of the details of what I'm talking about, but if you've seen the movie, you get it. I always say that the best indicator of how much I have enjoyed a movie is how I feel when standing up and walking out of the theater. Infinity War had me feeling emotions that I honestly have never felt during this crucial moment and I'm not sure if it can ever be duplicated. Watching the people around me, some in tears, most in shock, all having some sort of WTF type of discussion also raised the stakes for me as far as the overall emotional takeaway. One of the thoughts that has crossed my mind is where this fits among the MCU hierarchy of films and where might it fall into my personal ranking of all time movies watched during my lifetime. It honestly might take a while to figure that out because it is so unlike anything I've seen before. After lots and lots of talking, thinking, discussing, and contemplating, there was one movie that jumped out as a fair comparison and that movie is The Empire Strikes Back. George Lucas's second offering in the series lands on top of most people's favorite Star Wars lists because the story was so unexpected and the good guys, after glorious victory in the first installment, failed at every turn. They were separated and, at times literally, pulled apart until it seemed like hope was no longer available. This is pretty much how Infinity War plays out and I still can't fathom how Marvel is going to come up with suitable payoff in part four. At this point there's not much of a need to talk about the special effects. Everything looks freaking amazing, the fight scenes are fantastic, an the CGI characters all look about as photo realistic as technology currently allows. Most impressive to me was Thanos' groupies who all look legitimately menacing and also posed real threats to the heroes while still being many steps down from the maddening power that the Mad Titan himself was bringing to the table. This wasn't a corny collection of blundering bad guys, this was a back up band for the ages with cool name like Ebony Maw and Proxima Midnight. If you haven't watched the movie and you want a good example of just how next level the special effects are in this movie, just take a look at the picture of Thanos below. Yes, that's him using the Infinity Gauntlet to tear apart a moon and yank the crumbling pieces down on our heroes and this isn't even the best fight sequence that the Russo brothers put on screen. The directing duo must have had so much fun planning out all the action and figuring out how each character would fit into the fight scenes. Before I wrap things up, I have to talk about the character interactions because all of it is just so cool. 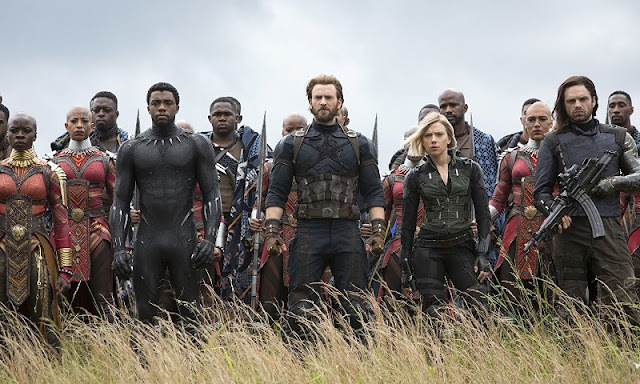 Most of the entire roster of MCU hero characters gets at least a little more than token screen time and what is so brilliant about all of it is that just about every character's story line, dating all the way back to the first Iron Man, gets addressed or mentioned in some significant way. 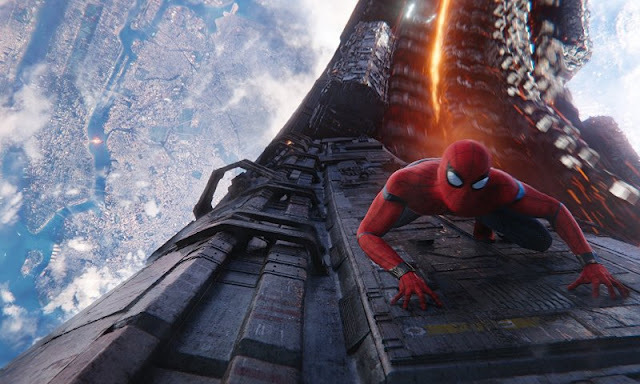 It just blows my mind how the writers and the people who are tasked with keeping track of all of this information are able to creatively present it within this gigantic, special effects laden action movie in truly meaningful ways. Just about all of the comedy comes from the character interactions and dialog. 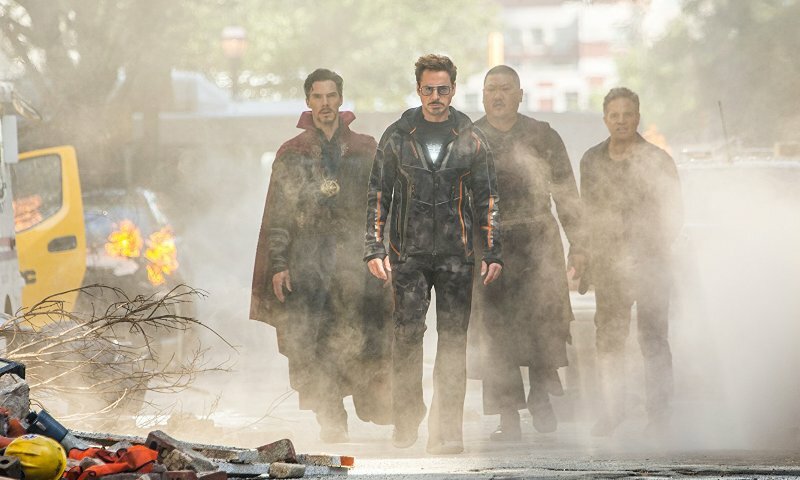 Seeing Peter Parker continue his Avengers education under Tony Stark never gets old and watching heroes like Thor and Iron Man square off verbally against new friends and rivals like Star Lord and Doctor Strange. These fun bits of banter and witty disagreements have always been one of the hallmark traits of the Avengers comic books so it was great to see it used as effectively as it ever has within the cinematic universe. Also, kudos to the writers and directors for knowing exactly how and when to make jokes and when to get down to business. 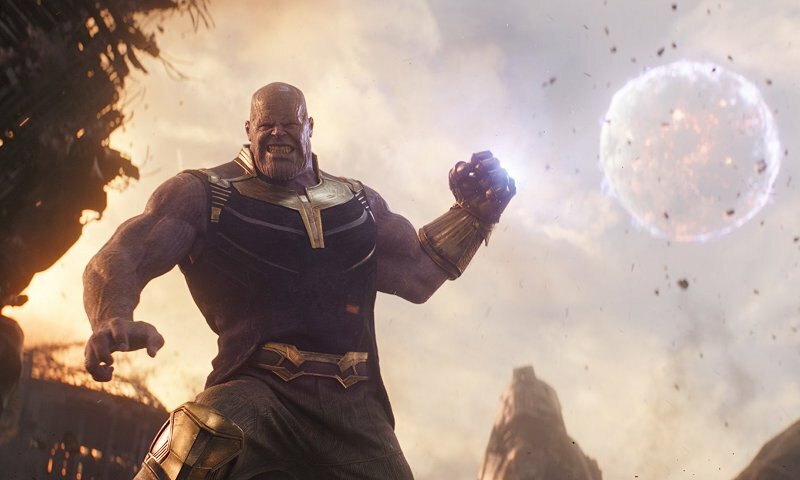 As things eventually turn in Thanos' favor, the energy and urgency both get ramped up and the jokes are set aside in favor of creating real danger and intensity leading to some shockingly powerful moments. One of the keys to this working the way it does is how the primary heroes each make some sort of critical mental error which ends up leading to disaster and failed attempts at stopping Thanos. The emotional issues they are each dealing with lead to selfishly poor decisions born out of anger, pain, and frustration as well as feelings of hatred and revenge, none of which is conducive to teamwork and cohesiveness which are essential to saving the day. On the flip side of that, Thanos, played by Josh Brolin, has all the single minded purpose and intent you could ever want from a psychopathic villain who truly believes his actions are good and just in the grand scheme of things. None of what he does would be nearly as impactful if the audience doesn't actually understand his perspective or sympathize with the sacrifices he makes to win the day. Infinity War is his story and everyone else is just along for the ride. As I am typing this sentence, I have seen the movie four times, have liked it better after each viewing, and can't wait to watch it again.